Parliaments serve three key roles: representation, law-making and oversight. In order to function effectively, parliamentary staff and committees require access to information. It has emerged through our experience in INASP’s Evidence-Informed Policy Making team that parliaments in developing countries may struggle to access research to inform their decision making. The need has been identified, so what barriers are they facing and what can be done to support this? 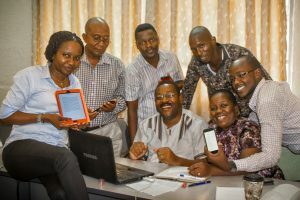 The issue of lack of access to e-resources in public institutions constitutes a key intersection between two streams of focus at INASP: using research and knowledge for national development and sharing and communicating research knowledge. 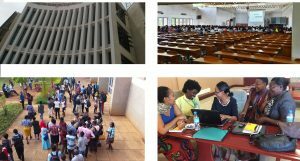 INASP has extensive expertise in securing sustainable, low-cost access to research for research institutions in developing countries, in particular through the work of library consortia. For example, the Zimbabwe University Libraries Consortium (ZULC) in 2015 was able to offer its members 6,000 online books and 50,000 online journals to members. However, civil servants and parliamentary staff, remain largely unaware of the potential that these consortia offer to provide low-cost access to thousands of online journals. As INASP becomes increasingly interested in the organizational dynamics that affect the roles of stakeholders in the research to policy system, my colleague Vanessa Fairhurst from our Research Access to Higher Education and I (as part of the Evidence-Informed Policy Making team) teamed up to investigate how these dynamics, both within parliaments and library consortia, affect this blockage point in national systems. This blog outlines some emerging insights into what we found. 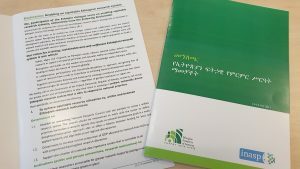 As this investigation began, the issue of access to information was being raised within the Evidence-Informed Policy Making team’s Parliament Learning Exchange project. 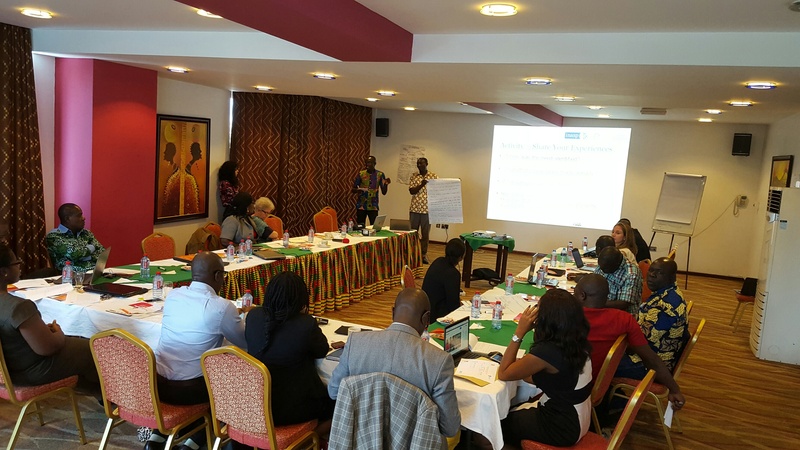 The project worked with parliamentary staff from Ghana, Uganda and Zimbabwe to identify and support specific organizational factors preventing the systematic use of evidence in decision making. One of the main barriers that all three parliaments identified was access to information resources. 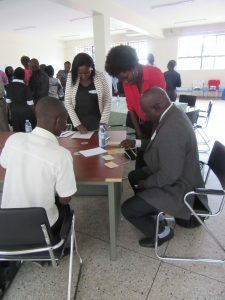 Participants aimed to use the learning exchange to “expand their knowledge of online information sources and compare and contrast their experiences”. Concurrently, INASP’s Research Access and Higher Education team is working with library consortia in the same three countries on the “Leading in the Library” project to build the capacity of these consortia and improve their organizational effectiveness. Notably, part of this project is to support the consortia to expand their reach beyond universities and to public institutions. The overlap between these two initiatives therefore provided a valuable opportunity for us to investigate this persistent issue in more depth in Ghana, Uganda and Zimbabwe. We began this investigation by conducting desk research of INASP material, for example a needs assessment of the Parliament of Zimbabwe that was undertaken before the Evidence-Informed Policy Making Toolkit was trialled. We followed up our findings by speaking to key informants across all three countries: project partners, executive members of the national consortia: CARLIGH, CUUL and ZULC and parliamentary staff from the departments of: library, research, ICT, Hansard, budget to discuss the status of access to e-resources for each parliament; their needs, steps already taken, barriers faced and if/how the consortia could support them on this journey to accessing e-resources. Below we highlight some of the key insights from the investigation. 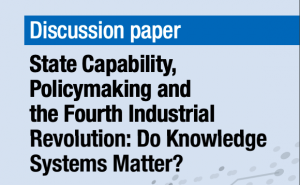 Creating networks across the knowledge and information system – In order to address issues and blockages in the system, it is important for stakeholders to work together; INASP’s work convening stakeholders will be a key part of this. 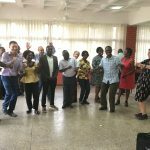 In this investigation alone, CARLIGH (Consortium of Academic and Research Libraries in Ghana) were invited to the Parliament Learning Exchange to present how they can benefit parliaments and help address their blockages. Likewise, as part of the Leading in the Library project, CUUL (Consortium of Uganda University Libraries) invited the Assistant Director, Library Services of the Parliament of Uganda to forum 2 of the project to support the development of their strategy. It is crucial we continue working closely together whenever possible to address common issues. Consortia membership – To date, membership has been largely concentrated in academic institutions. If consortia wish to be known as a national source of global information playing a central role in the national and international research and knowledge sector, it is important they consider expanding their membership base to reflect this. The Leading in the Library project is now supporting the consortia with actively advocating to different groups, and considering the implications that diversifying their membership will have on their structure and procedures. All three parliaments expressed interest in becoming a member of their national consortia and are following up individually on this. Tailored e-resource packages – The consortia currently offer fixed packages, including subscriptions based on their membership requests. As the majority of membership is made of academic institutions, public institutions sometimes feel that the consortia packages do not serve their needs. It is possible however, for members to request a tailored e-resource package via the consortia based on the needs of their institution. This feature would be a key selling point for the consortia going forward and would help in diversifying membership. Many parliaments are working to enhance their mechanisms for understanding and planning for their institutional evidence needs. This has many benefits, one of which will be enabling them to articulate their needs to the consortia. Strengthening and maintaining inter-departmental relationships with parliaments – To ensure the information system within parliament can function. It was noted that in some cases researchers were not aware of what the library could offer and were purchasing subscriptions to journals individually. These journals may have already been available through the library and if not, the library could ask the consortia to negotiate for a reduced rate. Departments need to work less in silos and begin reaching out to one another more, as they have in the Parliament Learning Exchange – working together to improve systems and organizational effectiveness.